Post - RoyalTea Party Events Inc.
A Dazzling Day for Lumi! Imagine an afternoon of meeting friends, having a hot cup of tea, eating some delicious treats and chit-chatting. Add checking out some really wonderful skin care products and devices to the mix. Could things get any better? 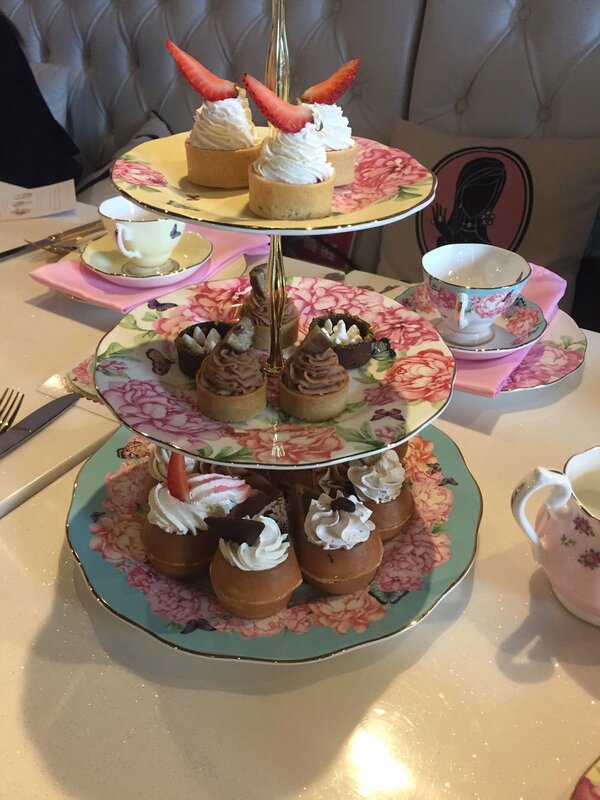 Thanksgiving weekend, Royal Tea Party Events and our client Winnie hosted a fabulous group of ladies who had the best afternoon tea experience while learning the benefits of skin care products and devices by Nu Skin for the soft launch of Lumi Spa. 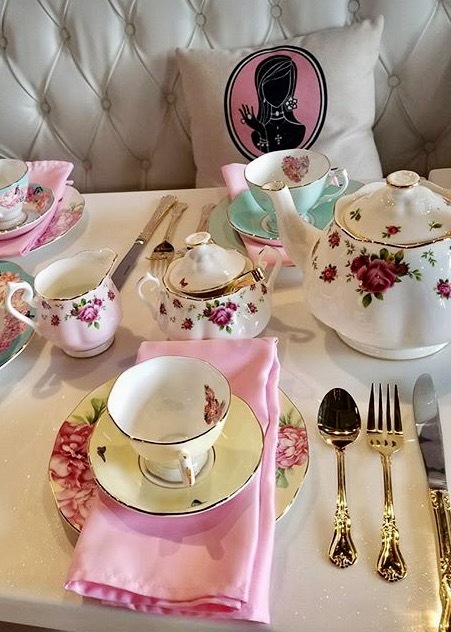 The event was held at the Dazzling Cafe in North York, where our guests caught up and enjoyed their rendezvous over warm refreshing tea and a custom curated menu planned by RoyalTea Party Events. The menu included customized Nu Skin Ageloc logo macaron by A Taste of France and custom mini cupcakes by Le Dolci, in addition to the customized menu for the event curated by Royaltea Party Events and the Dazzling Cafe. The Lumi Afternoon Tea Menu featured mini tarts and waffle wedges in scrumptious flavours such as strawberry and cream, matcha green tea, chestnut, and chocolate pistachio; and was accompanied by savory panini bites, The cafe offered a great private space for our guests to catch-up, enjoy their afternoon tea, and try out out the cafe's teas and specialty drinks such as the pineapple earl grey and their rose petal latte. Our Royal Albert China added to the splendor of the setting, and Winnie Chan of Nu Skin then took the floor. Winnie was the perfect hostess who demonstrated how the Nu Skin line can work wonders for the skin, leaving the ladies spell bound and absolutely in awe of the products. The Nu Skin offers a range of products such as the AgeLoc, Lumi Spa, AgeLoc me, Galvanic Spa and many more. Guests got a glimpse of the magical Lumi Spa, which will be launched worldwide in January 2018. The event was a huge success and the wonderful ladies enjoyed a pre-Thanksgiving treat. They loved learning about the Nu Skin range and we, in turn, loved seeing them appreciate the demonstration and their personalized Royal Tea Party experience. At Royal Tea Party Events, we look forward to creating a wonderful customized experience to suit your special occasions and themes. We love to see our clients and guests have a carefree and enjoyable time, while we ensure every detail is taken care of. Contact us to set up a complimentary consultation. We cannot wait to organize a Royal Tea Party for you! We would like to leave you with some pictures from our Lumi RoyalTea Party. We move on to the next adventure, but first, tea! Our little Adventure into the Perfect Pastel Photoshoot.